Justice isn't dead, but a lot of carebears are. In fact, that's how we know justice isn't dead. 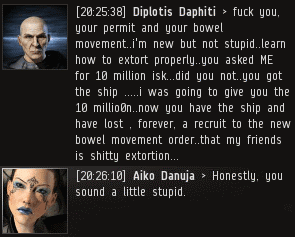 Diplotis Daphiti was forced to pay for his crimes when he lost his Stratios and a 424 million isk pod. 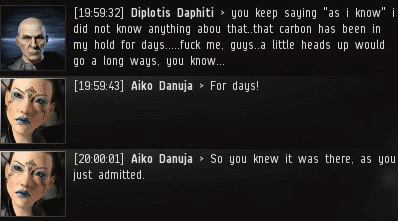 One of the gankers, Agent Aiko Danuja, demanded to know why Diplotis had allowed this to happen. Diplotis insisted that his Stratios was a combat cruiser, not a mining ship. It was a nice try, but when our Agents kill someone, they look at them deeply. 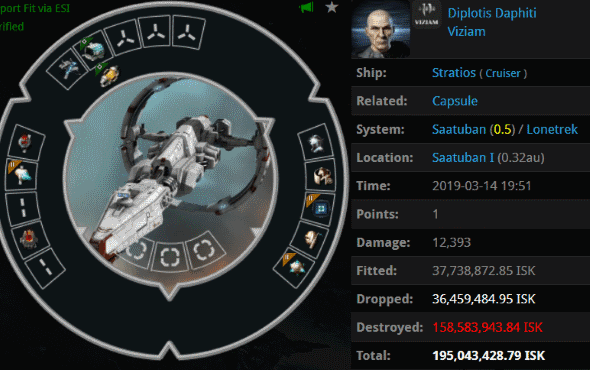 Diplotis' vessel was carrying infernal contraband at the time of its destruction. How would the not-a-miner wriggle his way out of this one? Like an addict who forgot that his glove compartment was filled with drugs, Diplotis found himself at a loss. Our Agents do the best police work in the galaxy. Diplotis knew he'd painted himself into a corner. Yet he couldn't resist the temptation to try to get a better deal for himself. Miners, the Code is the best deal you'll ever get. Carebears are greedy, and bot-aspirant carebears doubly so. The more he spoke, the more Diplotis' cover story unraveled. He couldn't stop confessing! CCP, take note: This is how you conduct an investigation. Alas, Diplotis told our Agent that he probably wouldn't consider joining the New Order anymore. Now where are we going to find a foul-mouthed miner? 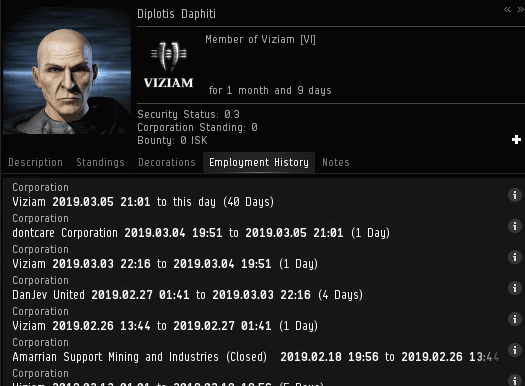 On the bright side, Diplotis wasn't lying about being a somewhat new player; he joined EVE in 2019. But wait, what's this? 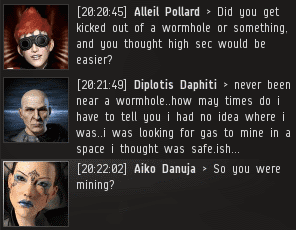 ...Our Agents' wallets are filled with the isk of miners who said they would "never" pay. Miners don't always appreciate it, but our Agents follow protocol and they have the best, most elite ethics in the game. Kudos! Princess Aiko embodies the rigorous ethics that our Knights are known for.